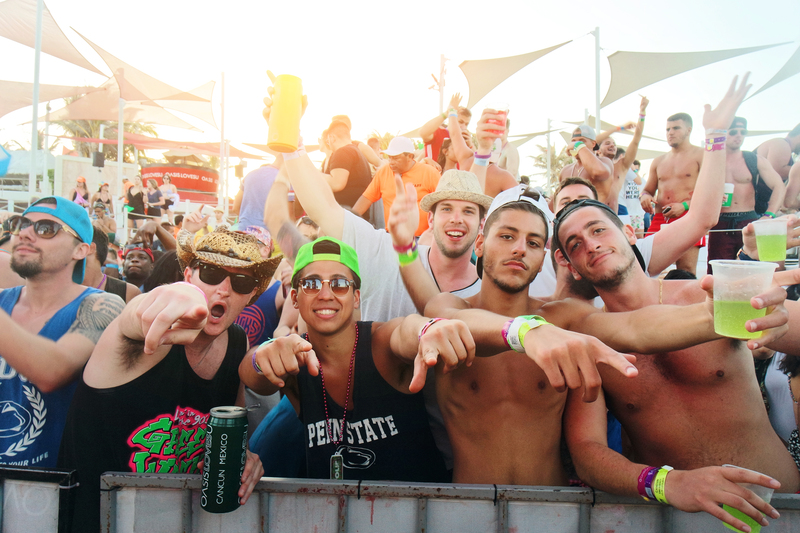 Have you and your crew been sitting around recently debating, “ where should we go for Spring Break ? ” I know with many different destinations being promoted at your fingertips it’s hard to decide where your group would enjoy most, ESPECIALLY if you have never traveled to these destinations before. To help give the masses of college students some guidance, my first recommendation would be Cancun, Mexico. This destination is repeatedly #1 every single year… and for good reason. If you are looking to party hard and mix with other students from around the world this destination has the majority of Spring Breakers in it. It’s like the best party scene you can imagine directly on the most beautiful beach you have seen in your life and by night Cancun is stocked with huge Vegas style clubs in the hotel zone. The staff at Oasis Cancun Lite in particular have been dealing with the Spring Break crowd for years and are fully equipped to deal with all the crazy drunk situations that may arise on premises. The second best destination in my humble opinion would be Punta Cana, Dominican Republica. This destination has really taken off this year with hesitations on traveling to Mexico (thanks to the overly dramatic media). Punta Cana ALSO has breathtaking beaches and good vibes all around at the all-inclusive resorts. It is impossible NOT to enjoy yourself here. One of my favorite experiences in Punta Cana would be the daytime open bar booze cruises with the squad. MAKE SURE to bring your waterproof phone case to this destination as you will not be able to stop snapping some very memorable pictures. Does anyone remember the Laguna Beach episode of their crazy Spring Break in Cabo? Cabo San Lucas is the third runner on this list of hot spots. A bit smaller than the first two destinations I have recommended, but from Cabo you will definitely remember how genuine the locals are. Another great party on the beach scene at Medano Beach with views of the famous Arc of Cabo. Cabo San Lucas has been a classic spring break destination for years and boasts some crazy clubs such as Squid Roe and Mandala that are frequented by superstars on the regular. A crew called Baewatch Cabo brings MAJOR artists into town every Spring Break season featuring stars such as Waka Flocka, Krewella, and Lil Yachty. If you plan on traveling out of the country for Spring Break 2018 you most definitely should hit Cancun, Punta Cana, or Cabo San Lucas and stay at an all-inclusive. These destinations depend on the Spring Break tourism wave to maintain their livelihood and you will have plenty of staff/locals around you that will be there to take care of you on your journey. I hope you have your passport ready!